Although I come from a family of artists, I had not pursued painting until moving to Santa Rosa, CA: the perfect spot to be inspired by gardens, vineyards and countryside. I started painting for friends and family, until receiving multiple requests for custom work, and copies of some of my completed paintings. Painting has become my passion. I paint a variety of subjects: landscapes, portraits, still lifes; and have arranged them by subject in my gallery ("Series" on the left sidebar of the gallery). I have shown artwork/paintings in galleries, won watercolor competitions, and exhibited in galleries and shows in Northern California. Originals and some giclees are available. View the gallery of my favorites. Click on each photo to see it enlarged, more info about size, and availability. 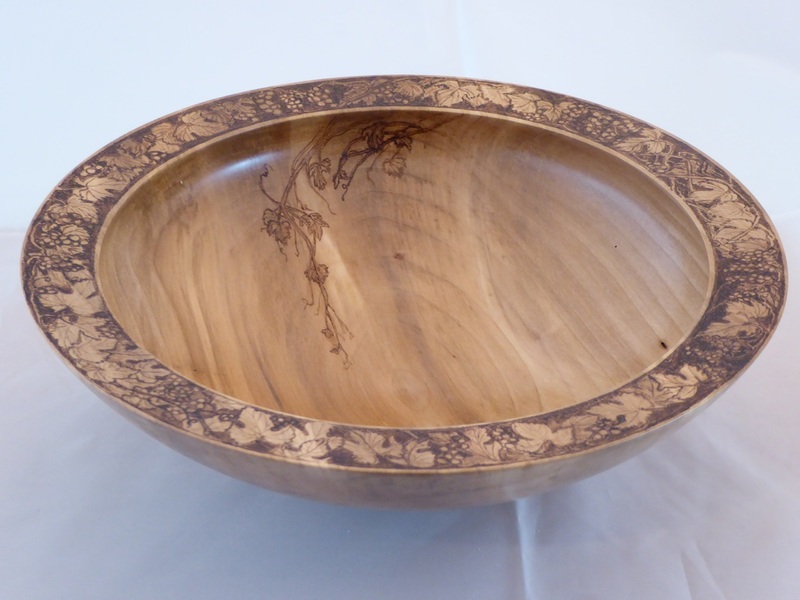 My husband Mike is a skilled woodturner, and I have fun embellishing some of his wooden bowls, wine stoppers and platters. Please scroll down this page to view a few examples and a link to his website. My interpretation of the theme "A Wish for Fish" was the judge's choice for the posters, all advertising, and t-shirts for the 2017 Bodega Bay Fish Fest; the 2016 theme was"Give Fish A Chance". Find them on the BBFishFest website.